Agapornis / There is 1 product. Do you have pet a lovebird? Do you know what care you must give to be able to raise properly? These small colorful birds, also called birds of love -for their constant pampering as a couple, are in need of a power supply and an attention suitableto develop well and be happy in our home. 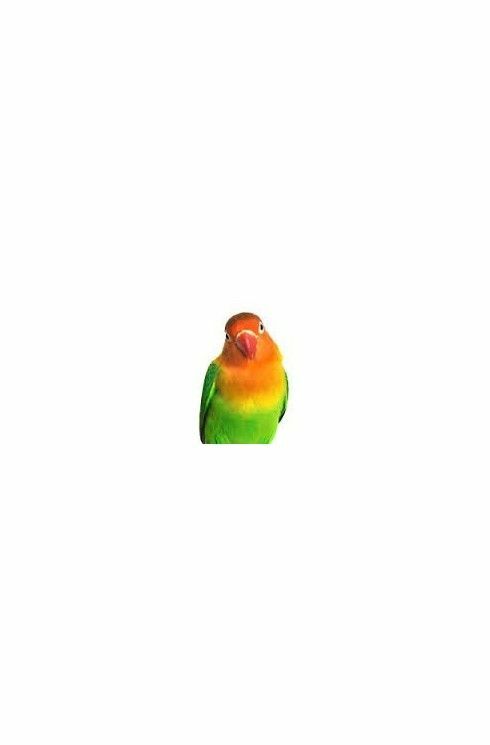 To do this, from add-Ons for Birds , we have prepared a wide range of products for lovebirds that we have at your disposal, for your exotic companion does not lack anything. Coming from a tropical climate of africa, these birds should be fed with a balanced diet that of your own species. Precisely for this reason, we have all kinds of animal feed, pasta breeding, porridge and fruit cocktails. In addition, to further protect your health, we have vitamin supplements and amino acids. Nor should we forget their hygiene, the special shampoos for their feathers and sprays, dewormers will be a good option. And to complete the pack health, the sprays antiseptic and healing properties, that sure will lead you out of more of a hurry. These birds tend to be very playful and cheerful , and, if used well, can even be out of the cage in the home environment. But, even so, the time you spend in your cage should feel comfortable, so that it is preferable to have enough room to flap their wings and play a little bit. In addition, if your small abode has space to put a toy -a way of bells sound, swings or any other colorful object, this bird is so lively it will adapt more easily to their surroundings and able to enjoy it. In our catalogue of products for lovebirds we have various models of original cages special for them, which you can complete with troughs, drinking fountains, baths to take a dip, nests for their eggs, or bags of wool where they can sleep the most cautious. In add-Ons for Birds (C. P. A.) we care about your pet like you do. For that reason, we make it easy to choose the best products for lovebirds with some fantastic prices and great deals on quality brands. Go to our website, put in your cart all that you need to take you home. And if you have any questions, you can contact us on our customer service and we will be delighted. Come to meet us!